I am curious why with serious sin it is necessary to confess to a Bishop or Stake President. How does that aid the healing process? In my case, I made a serious sin, and had a relationship with someone of the same gender for a year and a half after my temple marriage came crashing down. I have reasons why I fell and came under Satan’s power, one being which after my divorce my friend also went through a divorce and we found comfort in each other and then bought satan’s lies. We were together intimately about 10 times over a 2 year period. We each have a few kids and so my question is, if this gets out in the community, it will hurt the innocent more. As a mom, I want to protect my kids. I don’t care about my ego at this point but I do care about my kids, and I care about being with them in the next life, so I will do whatever it takes but is it right to confess when it will hurt innocent lives. When a person/member has committed serious transgressions the Lord requires them to confess their sin to priesthood leaders, and then forsake the sin. 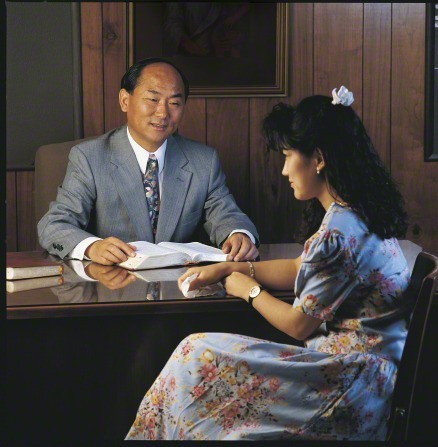 When a person meets with the bishop or stake president these leaders are informed about the sensitive issues of these transgressions and how they may affect a person’s family. Within Church guidelines these disciplinary councils are to save the soul of the transgressor and to protect the innocent (innocent would definitely be children). The bishop and his counselors are under strict counsel to keep private all matters discussed in a disciplinary council. You should have no worries about information being spread to the community via a bishop or counselors. I would be more concerned regarding your ex-husband or other people who know about your circumstance than I would be the bishop and his counselors, including the stake president. One reason people are to confess their sin to bishops and stake presidents could be due to the idea that “none but the truly penitent are saved” (Alma 42:24). The bishop and stake president who hold keys within the stake and ward are authorized by the Lord in order to discern a person who is sincerely penitent for their sins. How do I tell my bishop I committed fornication when the pressure is there to go on a mission? How do I come back to church after being excommunicated? I am 18 years old and pregnant, and my partner is in jail. What can I do with my life? How can I maintain ties to the Church while active duty military? How can I maintain ties to the Church while active duty military?